Computer Music Special is the bi-monthly spin-off of Computer Music magazine, and we're now offering you the chance to subscribe to it and save 28% off the cover price! 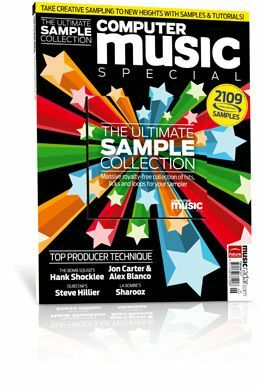 Dedicated to helping you make better music with your PC or Mac, each issue focuses in-depth on a particular topic or music production software package, with step-by-step tutorials, advice and a disc packed with samples and software. Previous CM Specials have covered: Mixing, Ableton Live, Propellerhead Reason, Dance Music, Synthesis and Recording. • Save 28% off the shop price! Simply click here and subscribe today to save 28% and never miss a CM Special again! Overseas subscribers: Please click here for subscription prices in your region.